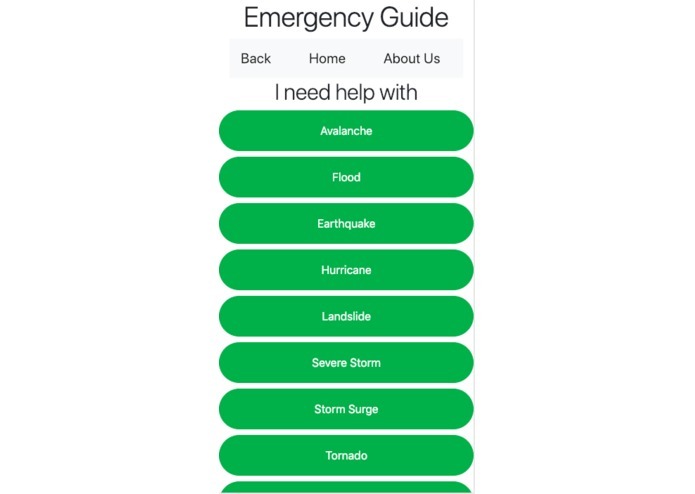 Emergency Guide is an app that informs people about making the right decisions in times of dangerous situations. The team wanted to create an app with a social factor and wanted to make something original which people can actually use. We figured that not everybody knows how to react in times of an emergency, and people usually try to google what to do in this age of technology. 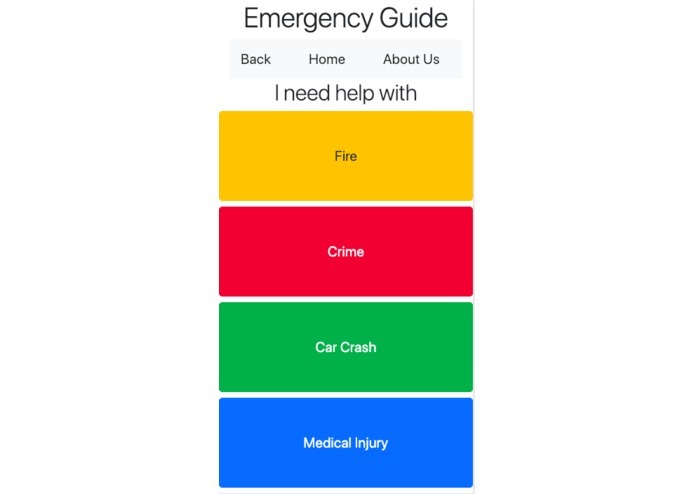 Therefore, we decided to create an app which the user can refer to in any type of emergency, and be able to find specific instructions tailored to the type of situation they are dealing with, which resulted in the creation of our app, the Emergency Guide. 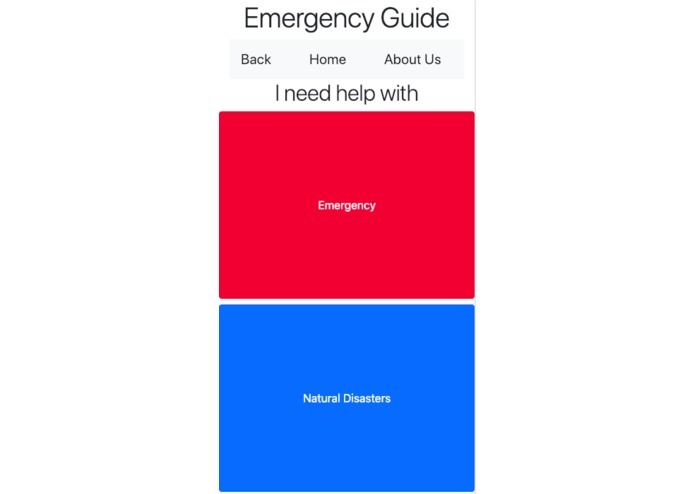 Emergency Guide is an app that helps people make the right decisions in times of crisis. Users indicate their situation through prompts that narrow down the specific type of problem the user is facing, ranging from types of injuries like choking or chest pain to natural disasters like earthquakes and storm surges. The app is a centralized information source that will provide users with the proper instructions to deal with it and a number to call for help. Additionally, do’s and don'ts are provided to help the user while they are waiting for a respondent to aid them. 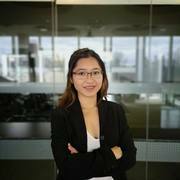 As nobody on the team had any experience with app development, we had to develop a web app with HTML and CSS and transition it to a mobile app instead of making a native iOS or Android app as we didn't have the time to learn the language and develop the app in the given time period. 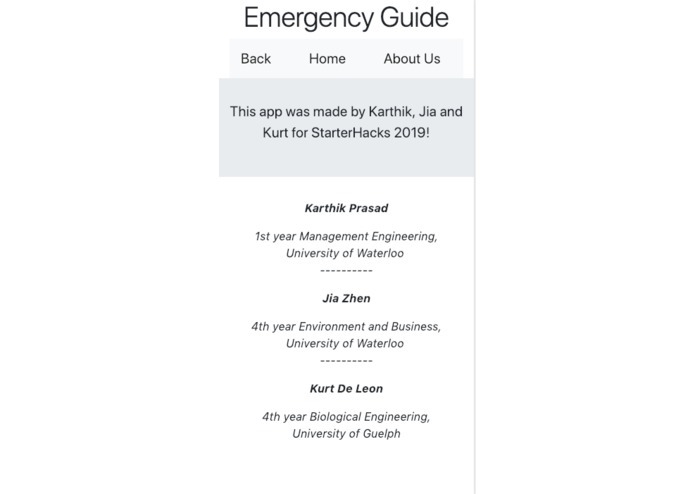 Although we came into Starterhacks without an idea, we were able to brainstorm effectively, come up with an idea, design it and develop it over a weekend and were able to demo the app we made. The team learned how to use tools like Figma for designing and bootstrap for quick developing, which resulted in a great learning experience at the Hackathon. 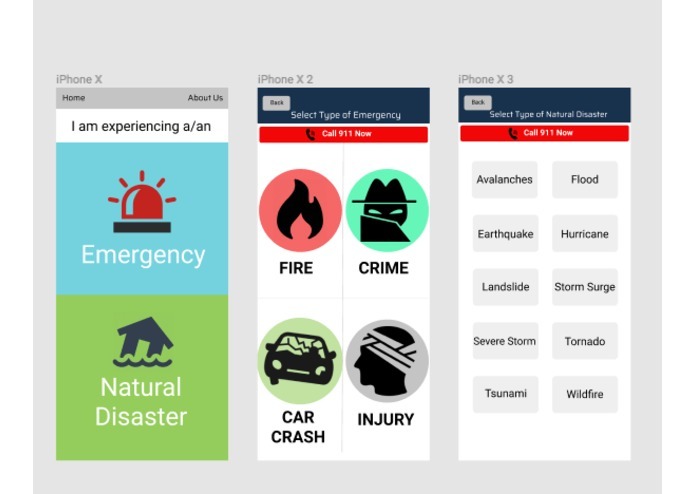 The main improvements for the app will be making it completely native to mobile, hence connecting to the device's phone app to enable 911 calling as well as adding info about emergency numbers in specific geographic locations to make the app more user-friendly and accessible.